Home > Uncategorized > Why Is Golf Called the Rich Man’s Game? Why Is Golf Called the Rich Man’s Game? In this modern era, you might have observed many times that golf is widely known as a rich man's game or sport. Have you ever thought of this concept why golf seems so much attractive to politicians and businessmen only? Why not to any layman? Although, not only rich people prefer this game, still, there are some myths that wealthy individuals choose golf instead of playing any other sport. However, there are several solid reasons behind this interest, which are briefly mentioned below. Golf, being the most fascinated game, always grabs the attention of billionaires and millionaires. Have a look at the points to get your answer why golf is called as a rich man's sport today. When it comes to a wealthy group of people, golf is always considered as a popular sport even in today's date. However, it is of no surprise that highly sophisticated industrialists or spokesperson don't want to lose any challenge ever in their life. Be it any sport or business tender; rich people always want success. And this is the reason why golf game is trending among the elite groups. Moreover, in this game, individuals need to compete with themselves without any competitor. Players can observe their results, and there would be no one to correct their actions. Golf always brings new experience and freshness in life, which is hard to get in other games. The craze of golf is nowadays emerging in every nook and corner of the world. However, rich people prefer this game because multi-billion companies are investing huge money and efforts on the athletes. Such kind of "seriousness" of the golf makers make this game more special and charming for the upscale families. This reason is undoubtedly the prime factor why rich kids prefer golf as a pastime game. Unlike the other games, where you have to stand all the time in the harsh sun rays, golf is a relaxing sport, which requires little time and effort. Moreover, apart from the daytime, individuals can play the game even in the night. There are no hard and fast rules. In addition to this, one can play this sport without having any companions. For a complete round or match, you may need competitors, which are mostly not preferred by the wealthy groups. There are no fixed timing and rules to play golf, which is the best thing and loved by rich personalities. You don't need to act like pro instead simple tricks, and tips will also work perfectly. Who wants to get injured and fall on the fields? Do noble people prefer this? Of course, not! And this would be a key factor why golf game is known as a rich kid game. One can play it coolly without any hurry. The probability of getting injuries is certainly less, mostly zero, when you choose golf. In this game, you don't require much strength and flexibility. Rather, you should know how to make a perfect shot in one attempt. 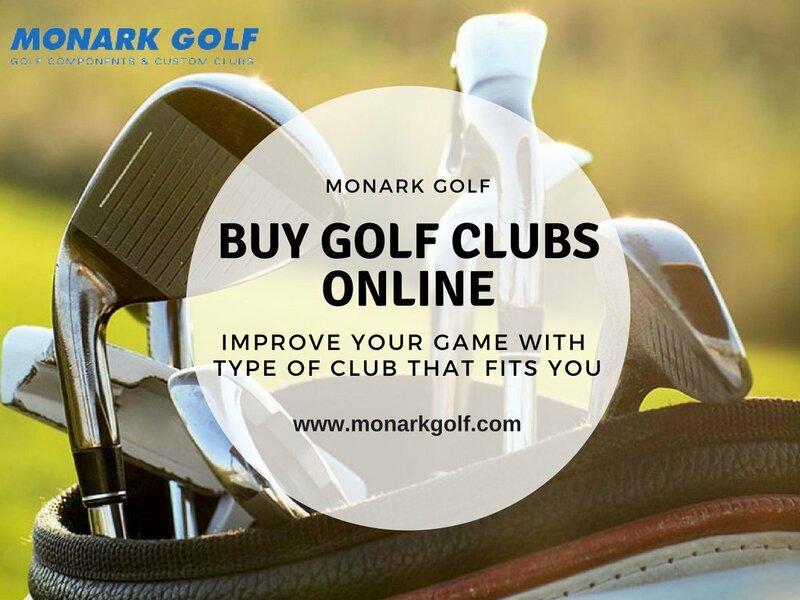 Monark Golf is offering quality golf components to clubmakers at discount prices. We sell golf club heads, golf shafts, golf grips, Golf drivers reshafting and regripping your golf clubs. We are offical dealers of favorite brand name golf club components such as Aldila shafts, Golf Pride grips, Lamkin grips, UST graphite shafts, True Temper steel shafts, Winn grips and many more.